Before I begin to write a Woof Wednesday post I spend time browsing various dog sites. It is overwhelming some days to look at the sites because my heart aches, as I want to adopt them all. To those who don't or have never had a dog, I'm sure it can be hard to understand. And there are also many breeds of dogs....what might appeal to one person may not always appeal to another but that is what makes it special, just think there is a dog as unique as you waiting for a loving home. And you will know by the feeling in your heart which one is right for you. I myself have a special fondness towards Westie's something that happened while living in San Diego. My boss at the time had a West Highland Terrier who often spent time at the office. Well I fell in love with the breed. A few years later when I decided to bring a dog into my life, and was trying to decide upon a breed I just knew it had to be a Westie. 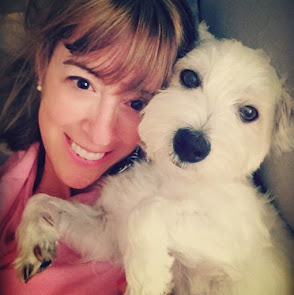 Upon meeting my Westie, which is a great story in itself, I knew she was the one for me. She was not perfect by breed standards (which I don't believe in anyway) but she was perfect for me! Oh she came with some health problems, they developed around six months, which required many vet visits, and many a vet told me she was lucky as many others would have given up on her. But given up on? I can't even imagine that, not with all the greatness and unconditional love she has to give. The very dog that has taught me the true meaning of love! It is actually a great analogy for life because there have been articles written about how our society is becoming somewhat of a "throw away" society. Everything is disposable, instead of appreciating what we have we are always looking for something better, more perfect, and willing to give up what we have thinking the grass is greener. It boils over into our jobs, relationships, etc.. And animals often times get given up with the same mentality. That's life most would say, right? But it doesn't have to be it. "The person who removes a mountain begins by carrying away small stones." One person, small steps, loving thoughts....it all makes a difference. My dog and I have been through a lot together. She has seen me through some very difficult times and I her. If you had told me she would change my life in the ways she has, well I would have said nonsense at the time. It was the best decision I have ever made. So when I do these Woof Wednesday posts it comes from a special place in my heart. 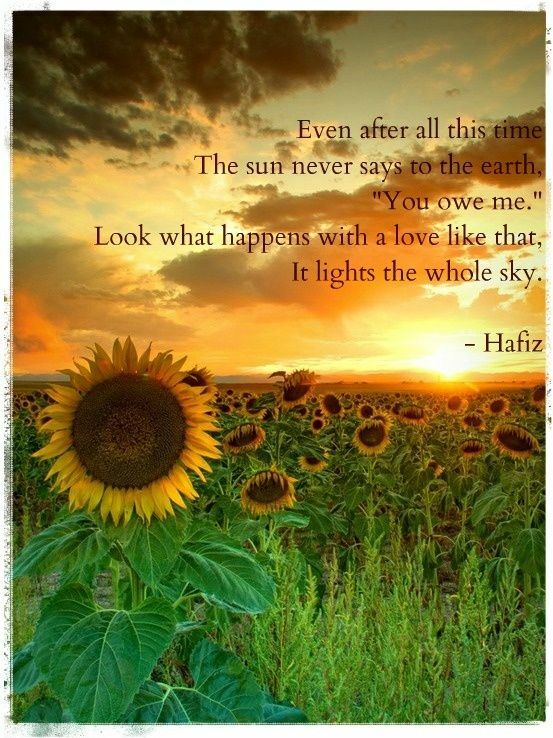 I want others to know the love that is out there and waiting for them. Just as we are not perfect, dogs are not perfect either. But the love of a dog can do amazing things when given the opportunity. So do the research, but follow your heart too. And if for whatever reason you can't afford to bring a dog into your life at the moment, please think about volunteering at a local shelter. It could be something as simple as walking a few dogs, or giving them the opportunity to play for a little. Another option is donating to a local shelter as they can always use the help, dropping off such items as dog toys, cleaning supplies, food, blankets, dog beds can make a real difference. Or maybe think about donating such items to individuals and/or families who want to keep their dogs but can't afford to. The poor economy, coupled with high unemployment rates has affected not only humans but animals too, as people often times cannot afford them. Today, instead of featuring just one dog. 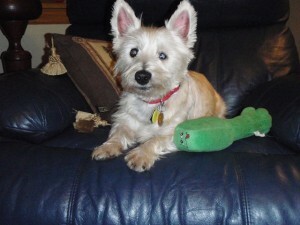 I'm going to refer you to the a Westie rescue in Missouri. 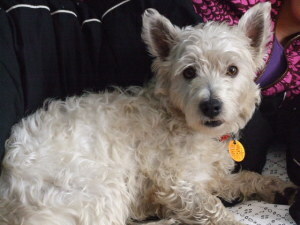 They are working hard to find each Westie that comes to them a loving home. Lately most of the dogs I featured have been from the Northeast/Mid Atlantic region so I wanted to expand beyond that a little too. Take a look at two of the dogs they have available for adoption. And I want to remind everyone that most dog breeds have some sort of rescue program out there. If you google the dog breed you are interested it, you will eventually find one. Also, if you know of a good rescue or shelter organization that you feel I should feature on my blog please let me know. Thanks for taking the time to read the Woof Wednesday posts! Blessings!